I know you like anchors, and I have a post about Esprit that features a cute nautical tank top and stuff! I was on the JC website the other day and when I saw that bracelet I really wanted it. 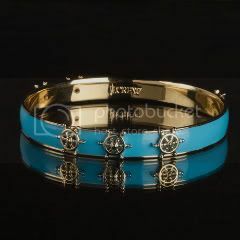 So cute, I am loving bangles right now and I like how is it jazzed up a bit. They aslo have a pink one with a whale too. Now I can't decide which one I like better!